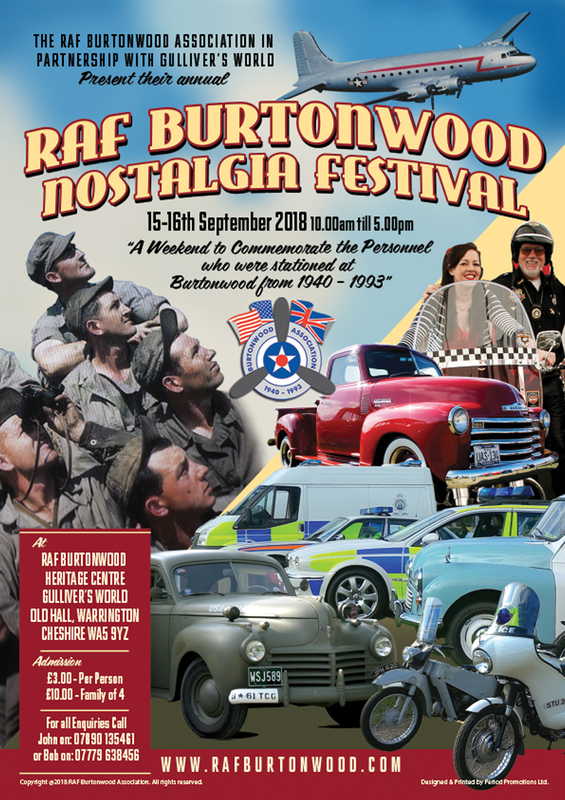 RAF BURTONWOOD NOSTALGIA FESTIVAL 15-16 September 2018 10.00am till 5.00pm. Gulliver's World, Old Hall, Warrington, Cheshire, WA5 9YZ. For all Enquires Call John on: 07890 135461. Or Bob on : 07779 638456.